Sgt. 1st Class Jamie S. Nicholas, 32, was killed Sept. 29 while conducting a combat reconnaissance patrol in the vicinity of Yakhchal, Helmand Province, Afghanistan, in support of combat operations while serving with Company B, 1st Battalion, 7th Special Forces Group (Airborne). 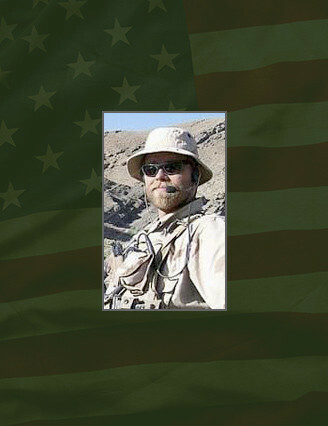 He deployed in support of Operation Enduring Freedom in May 2008 as a member of the Combined Joint Special Operations Task Force – Afghanistan. This was his second deployment in support of the Global War on Terror and second deployment to Afghanistan. He was a Special Forces Operational Detachment-Alpha senior weapons sergeant. Nicholas, a native of Maysel, W.Va., volunteered for military service and entered the Army in Aug. 1994 as an infantryman. After basic and advanced individual training at Fort Benning, Ga., he was assigned to Co.A, 2nd Bn., 327th Infantry Regiment (Air Assault) at Fort Campbell, Ky. In 1997 he became a team leader when he moved to Co. C, 1st BN., 508th Infantry Regiment (Airborne) at Camp Ederle, Italy. He volunteered for recruiting duty in 2001 and was assigned to the Pittsburgh, Pa. Recruiting Bn. Upon successful completion of that tour, he was assigned as a squad leader when he moved to Co. B, 2nd Bn., 1st Infantry Regiment at Fort Wainwright, Alaska. He began the Special Forces Qualification Course 2005 and he earned the coveted “Green Beret” in 2006 and was assigned to 1st Bn., 7th SFG(A) at Fort Bragg, N.C., as a Special Forces Operational Detachment-Alpha weapons sergeant. Nicholas’ military education includes; the Basic Noncommissioned Officer Course, Northern Warfare Course, Recruiting Course, Survival, Evasion, Resistance and Escape Course, Combat Lifesavers Course, Basic Airborne Course, Air Assault Course, Warrior Leaders Course, and Special Forces Qualification Course. His awards and decorations include two Bronze Star Medals, Purple Heart Medal, Meritorious Service Medal, three Army Commendation Medals, three Army Achievement Medals, four Army Good Conduct Medals, National Defense Service Medal, Afghanistan Campaign Medal, Iraq Campaign Medal, Global War on Terrorism Service Medal, Noncommissioned Officer Professional Development Ribbon, Army Service Ribbon, Overseas Service Ribbon, NATO Medal, U.S. Army Recruiter Badge (gold), Combat Infantryman Badge, Expert Infantryman Badge, Parachutist Badge, Air Assault Badge and the Special Forces Tab. Nicholas is survived by his wife, Michelle, stepson, Brenton Troup and stepdaughter, Sharise Troup, of Hope Mills, N.C.; mother Karen Nicholas, and father Burke Nicholas, both of Wallback, W.Va.